Whilst on my French Exchange in Rouen we visited a big shopping centre. A majority of the shops were the same as what we have in the UK but I spotted a KIKO store and couldn't resist taking a look, as there is not a store in Cardiff and I often make orders online. As soon as I entered the shop I saw the Frosted Look Lipsticks and had to pick one up as I have seen countless raving reviews. I got it in 04 Innovatory Red as we all know I'm a sucker for a red lip. I'm slightly confused about the name as from what I can tell it isn't my idea of 'frosted' (shimmering/glittery) but instead is a lovely bold colour. I swatched a few eyeshadows and immediately fell in love with the colour 118, a taupe with a slight shimmer, and 139, a dusty rose again with a bit of a shimmer. I'm definitely one for natural, barely-there eyeshadow and these colours seemed perfect for me and had fantastic pigmentation. I spotted that KIKO's Long Lasting Eyeshadow Pencil was on sale and as I have been lusting after one for a while I decided to pick it up. I got the shade 24, a gorgeous ash-grey/taupe colour. I swatched it in-store and it was still on the back of my hand hours later, completely unmoved, so it really is long lasting! This really was a petit post, but I hope you enjoyed it all the same. 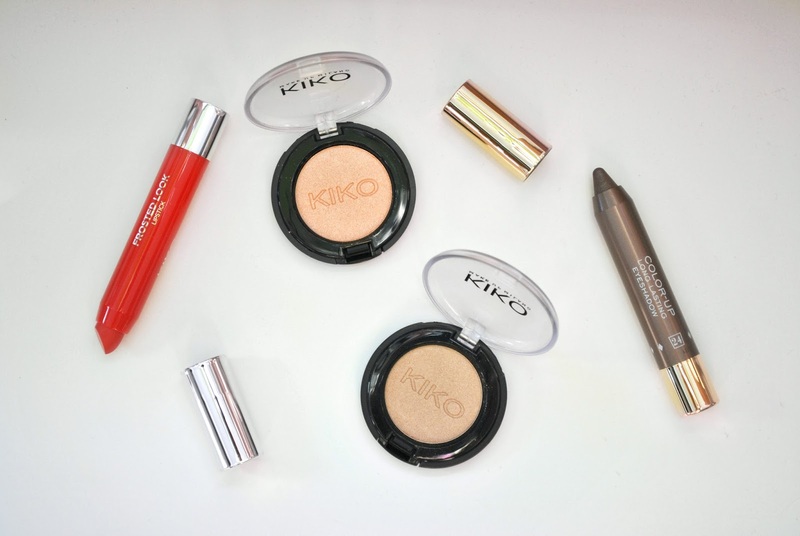 I absolutely adore KIKO and think they're such a good quality, reliable brand with amazingly affordable prices! I really want to try Kiko, the eye stick looks amazing!